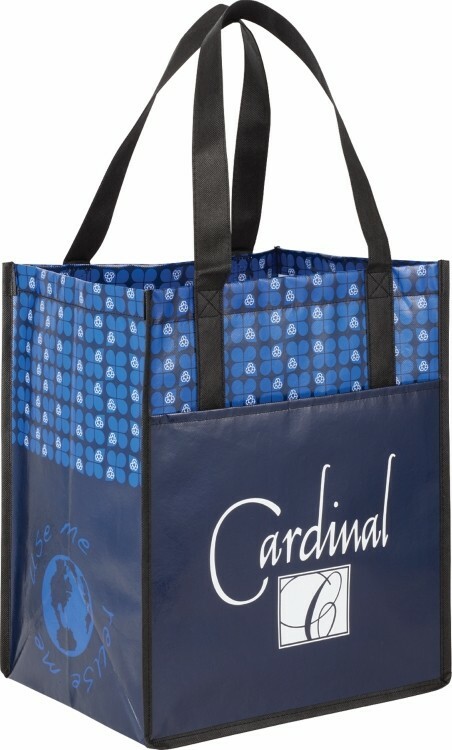 Eco print supports environmentally friendly promotions and is also ideal for grocery shopping, beach trips and other outdoor events. Large main open compartment with 10" gusset and supportive bottom board. Open front pocket. Polypropylene non-woven reinforced handles and binding for added durability. 10" handle drop height. Laminated material is water resistant and easily wipes clean. Perfect alternative to plastic bags.